For those who are new to the site, or to magnetic therapy in general, it is important to point out the differences between the BrodTeNS and the Orbit therapy bracelets. BrodTeNS is an advanced health bracelet that combines magnetic therapy with a microcurrent, whereas the Orbit is entirely magnetic technology. Many people benefit from wearing magnetic bracelets on a daily basis to help with pain relief, sports performance and healing. Whether you are going to ride your horse, play golf, attend a business meeting or relax amongst friends and family there is a wide range of sizes, colours and straps to choose from. If you are looking for a womens magnetic bracelet, the Orbit range of magnetic jewellery features a satin finished stainless steel strap with gorgeous embedded natural gemstones. Naturally, our customers have questions when considering whether purchasing a magnetic bracelet is right for them. Usually how they work and are there any side effects are the first, followed by whether they need maintenance or upkeep and long term use. They are all sensible questions to ask when considering a purchase. So, to help others who are looking to integrate the use of magnetic therapy into their health and wellbeing routine, here are some of the most common questions we’ve received. The benefits of magnetic therapy are widely documented. 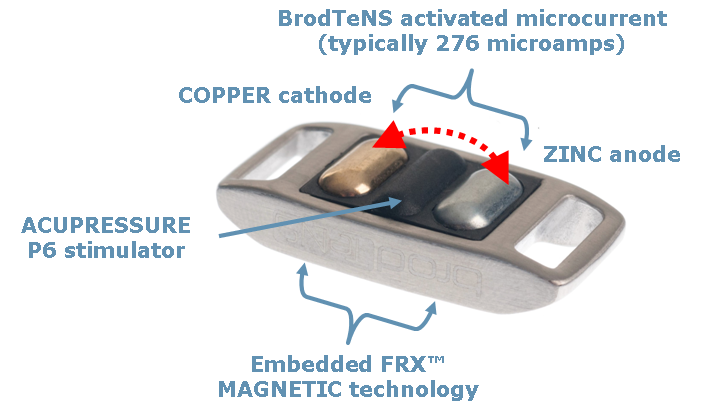 The BrodTeNS bracelets combine four different therapies (microcurrent, magnetic, copper & acupressure) that are shown to be highly effective for a wide variety of medical conditions and ailments. You can wear it as much or as little as you like and it is safe to wear 24/7 which is usually recommended to achieve the best results. The speed at which people feel the benefits from wearing magnetic bracelets varies considerably from person to person. Every ‘body’ is unique, some feel relief very quickly, whereas others will notice slight changes and improvements over weeks or months. However, in the vast majority of cases, people do notice effects from regular use. Everyone’s experience of magnetic bracelets is personal, so it’s worth keeping an open mind and paying attention to your own body, rather than trying to compare other people’s experiences. The BrodTeNS bracelet also comes with a 60 day satisfaction guarantee so you can trial the product and if you are not satisfied then it can always be returned for a refund (click here to see terms). Will wearing a magnetic bracelet affect my other devices? Due to the high intensity magnetic field, wearing a magnetic bracelet alongside a watch, Fitbit or any other type of fitness tracker could cause potential interference. If you are wearing any other device that may be affected by magnetic fields, it is advisable to wear your magnetic bracelet on the other wrist. Are there any reasons why I shouldn’t wear one? Magnetic bracelets are not suitable for everyone and those with certain health conditions or medical devices should not wear them. People fitted with a pacemaker or other electrical implant should not wear one as the magnetic bracelet may interfere with the working of their device. In addition, epilepsy patients should avoid wearing the BrodTeNS range due to the addition of the microcurrent. However, magnetic therapy on its own can be worn. The Orbit magnetic bracelet and magnetic support range are suitable for epileptics because they only feature magnetic technology. 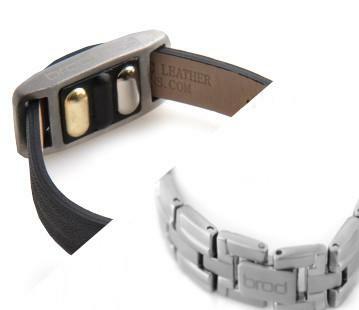 Health conditions aside, it is also worth noting that BrodTeNS bracelets are not suitable for wearing during showering, bathing or swimming, as this will affect the performance and effectiveness of the electrodes that generate the microcurrent, so always make sure you remove your magnetic bracelet before entering water. If you are looking for something that can be worn in water, then consider the Orbit magnetic jewellery bracelet. What are the potential side effects of wearing a magnetic bracelet? There are no harmful side effects but for peace of mind it is reassuring to know that certain symptoms or sensations may occur whilst wearing your magnetic bracelet. BrodTeNS and BrodPod Orbit bracelets have been carefully designed from materials used to minimise allergic reactions from appearing. Occasionally some people may experience a small rash under the BrodTeNS bracelet – this is not an allergic reaction. It is a Galvanic Skin Response due to a change in the electrical resistance in your skin. In simple terms, your skin is sensitive to the change in pH levels (acid/alkaline). Do I need to look after my magnetic bracelet? Like any device, the BrodTeNS bracelet does need to be looked after to get the best out of it, particularly if using over a long period of time. It is important to regularly clean the zinc and copper electrodes with a slightly damp cloth to prevent the buildup of grime. The electrodes are a serviceable part of the bracelet, so they will need to be replaced in time – this is because of ion migration and is completely normal. How long the electrodes last is determined by your body, how often you wear your magnetic bracelet, how active you are and how much perspiration your body produces. Replacement electrodes are usually needed after 3-6 months but this does vary from person to person. You will know when it’s time to change your electrodes because they will both turn a dull copper colour – when this happens, it means the zinc has migrated so the microcurrent will no longer be as effective. Wearing your magnetic bracelet should be an enjoyable and beneficial experience, so understanding exactly how to get the best of it is essential to maximise the effects and improvements it can have on your body. If you have any other questions regarding the BrodTeNS or Orbit range of magnetic bracelets, feel free to get in touch and ask us!